Every time we work alongside the powerhouse team at The Events Lounge, we know that some serious magic is going to be created. Britt + Dan's beautiful Byron Bay wedding was no exception! 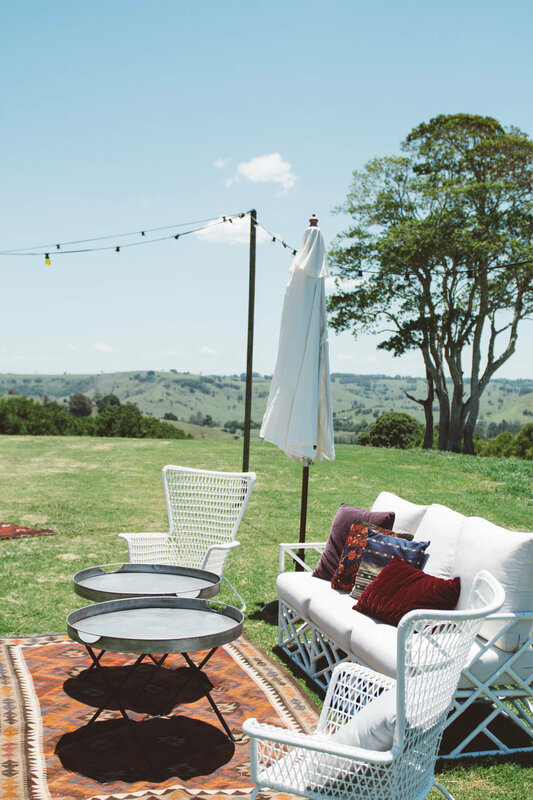 The lush green hinterland at The Orchard Estate (one of our fave new Byron Bay wedding venues) was the perfect backdrop for this eclectic, bohemian setting. This cocktail style wedding included a contemporary mix of furniture and decor in monochromatic tones, offset by dramatic botanical styling, neon lights and bright bursts of colour. Not to mention the truly EPIC balloon installation that framed the entrance to the barn, wrapping itself around the facade. Talk about a statement piece! 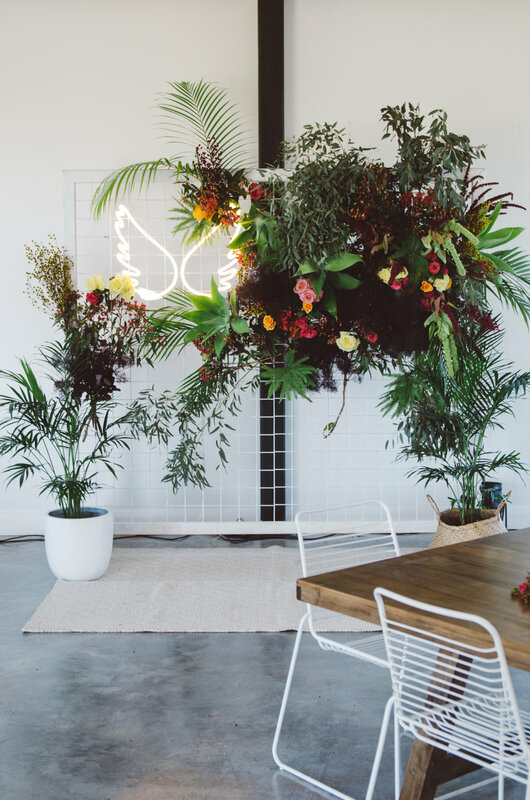 As always our hats go off to the incredible styling of The Events Lounge along with the dream team of suppliers that helped to create this beautiful Byron Bay wedding. More gorgeous imagery below, along with our top styling tips to recreate this look.